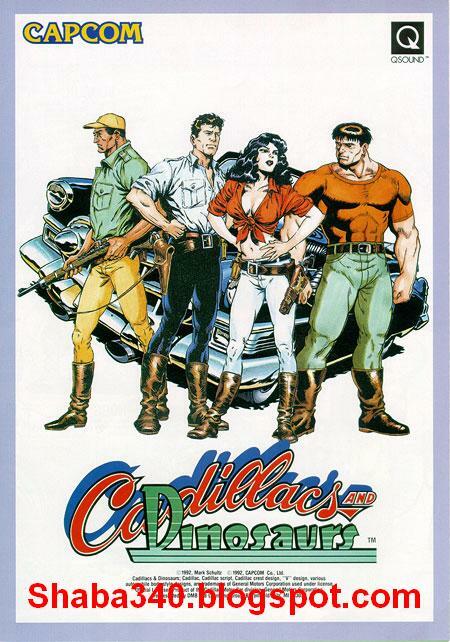 Cadillacs and Dinosaurs; The Arcade Game (known in Japan as Cadillacs Kyouryuu Shin Seiki) is a 1992 arcade game released by Capcom. 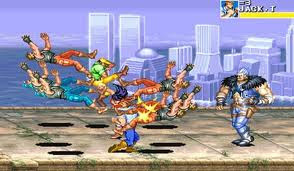 It is a beat ‘em up based upon the comic Xenozoic Tales which was created by Mark Schultz in the late eighties. 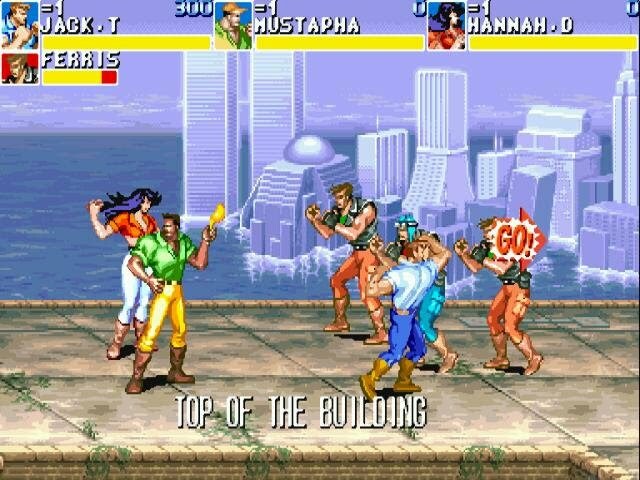 The game-play is like that of many other side-scrolling beat’em up games of the time, such as Streets of Rage or Final Fight. 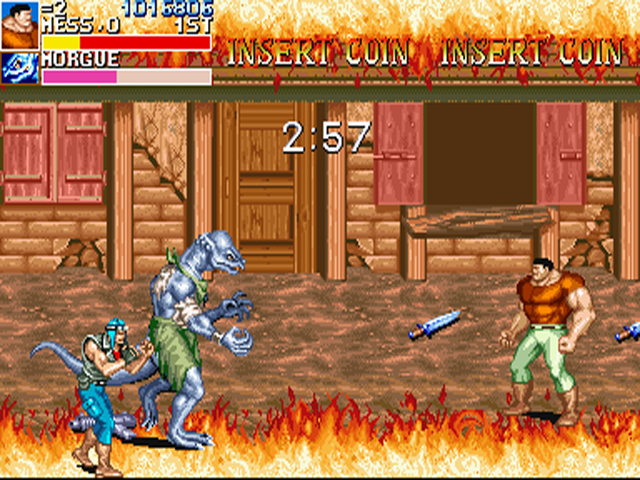 A distinctive feature of this game is the frequent use of firearms, rarely seen on other games of its kind, which normally favored weapons such as bottles and knives. There is also a sequence in which the player can get control of the titular vehicle by radioing for it. It is difficult to keep the car intact for long, because the boss at the end of the sequence (Hogg) is armed with grenades.